All field trips will take place on Sunday, 3 November. See below for times and pricing details. Find out why Mobile is known as the City of Six Flags as you learn about the diverse cultures that have influenced this port city since it was founded in 1702. We will depart the Mobile Convention Center at 9:00 AM for a historic tour of downtown aboard one of Mobile’s charming locally-based trolleys. Take in Mobile’s rich architectural heritage, reflecting the city’s early European colonial rule and later the American Civil War and antebellum period. Tour highlights include the reconstructed Fort of Colonial Mobile, which has guarded the Mobile River for 300 years under the city’s many flags, and the Church Street Graveyard, where some of Mobile’s most notable historical figures are interred. 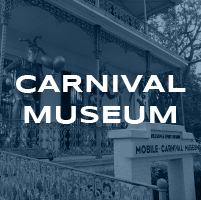 At 10:30 AM, we’ll depart our trolley for a tour of the Mobile Carnival Museum. Learn why Mobile is the true birthplace of American Mardi Gras as you explore the museum’s galleries of costumes, favors, and priceless antiques and get a behind-the-scenes glimpse into Mobile’s mystical parading societies. At 12:30 PM, we will depart the museum for a quick 10-minute trolley ride back to the Mobile Convention Center. After your field trip, you’ll have the afternoon free to further explore downtown Mobile and maybe take closer look at some of the city’s historical sites. 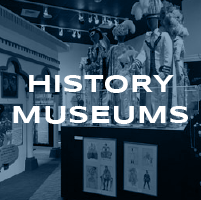 After lunch, we will take a 10-minute trolley ride back to the History Museum of Mobile to learn more about the city’s fascinating and lesser known history, from its first Native American inhabitants through the modern era. We’ll arrive at the museum around 1:15 PM, and attendees will be free to tour the museum’s permanent and changing galleries until the museum closes at 4:00 PM. Return to the convention center or your hotel at your leisure. On this trip, we’ll travel just outside Mobile to explore the Mobile-Tensaw Delta, nicknamed America’s Amazon because it boasts some of the highest plant and animal biodiversity in the world. We’ll depart the Mobile Convention Center at 9:00 AM and arrive at 5 Rivers Delta Resource Center at 9:20 AM. 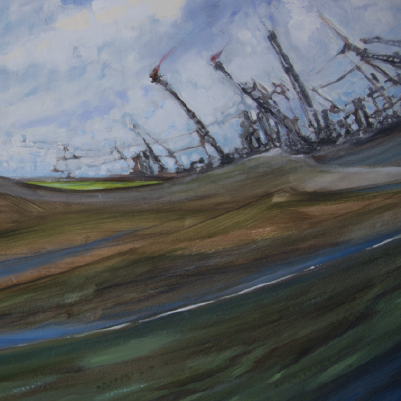 Named for the five rivers that flow into Mobile Bay, the center brings the 250,000 acre delta inside for a closer look through live animals, taxidermy, local artwork and traveling exhibits. 5 Rivers staff will be on hand to answer questions and introduce some of the facilities animal ambassadors. At 10:30 AM, we’ll take a quick 10-minute walk to the Bartram Landing to board the Delta Safari! On this boat tour, you’ll have a chance to see wildlife including alligators, bald eagles, turtles, pelicans, nutria, and more. You’ll also learn about the history, geology, and ecology of the Delta, as well as Alabama’s “Forever Wild” program and its mission to protect these critical habitats through the Alabama State Lands division. At 12:30 PM, our safari boat will drop participants off at the Bluegill Restaurant for lunch right on the water (field trip price includes lunch and vegetarian options are available). You’ll also be able to take in a great view of downtown Mobile just a few miles away. At 1:45 PM, our bus will meet us at the Bluegill to head back to the city, arriving at the Mobile Convention Center at 2:00 PM. Join us in exploring the Grand Bay National Estuarine Research Reserve (GBNERR) on a trip that’s For the Birds! We will depart the Mobile Convention Center at 9:00am and take a one hour drive to the GBNERR headquarters in Moss Point, MS. We will make a quick restroom stop before continuing to the Bayou Heron boat ramp. At 10:30 AM we will depart on a guided boat tour of the Grand Batture area: one of the best, but also most remote, birding spots along the Mississippi coast. To date, 170 bird species have been observed in this area including shorebirds, egrets, gulls, and pelicans. You’ll also learn about the history of Grand Bay and view Native American shell middens within the reserve. At 12:45 PM we’ll return to the GBNERR headquarters for a fajita bar lunch (field trip price includes lunch and vegeterian options are available). 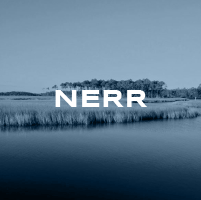 You’ll have a chance to explore this Gold LEED certified facility and learn more about Mississippi’s coastal heritage and habitats in the interpretive area. At 2:30 PM, GBNERR staff will lead a guided walking tour along the pine savannah boardwalk and trail. You’ll have a chance to see more birds, like resident osprey, and take in other flora and fauna while learning about the reserve’s innovative work in habitat monitoring and coastal stewardship. At the end of our walking tour, we’ll depart the Grand Bay NERR at 4:00 PM and return to the Mobile Convention Center at 5:00 PM. 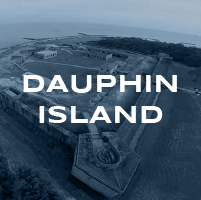 Transition to Island Time as you travel 40 miles south of Mobile to spend the day on Dauphin Island, Alabama. We will depart the Mobile Convention Center at 9:00 AM and take a one hour drive along the western shore of Mobile Bay. At 10:00 AM we will arrive at the Dauphin Island Sea Lab (DISL), Alabama’s center for marine science research and education. You’ll spend the morning with DISL staff and scientists touring the lab’s research facilities and visiting Discovery Hall, where DISL’s educators promote marine conservation through hands-on learning. At 11:30 AM, we’ll stop for lunch at DISL’s award winning May’s Café (field trip price includes lunch and vegetarian options are available) before continuing our tour at 12:30 PM at the Estuarium, DISL’s public aquarium where exhibits feature key local habitats and aquatic animals. Visit the stingray touch pool or stroll out to the Living Marsh boardwalk where you’ll seen pelicans, blue crabs, and maybe a passing bottlenose dolphin. Be sure to stop by the Estuarium gift shop to check out their unique gifts! At 2:00 PM, we’ll walk next door to historic Fort Gaines, which has guarded the entrance to Mobile Bay for over 150 years. Tour the fort exhibits at your leisure until our departure at 3:45 PM. We will return to the Mobile Convention Center at 4:45 PM. Don’t miss the amazing sunset on your return trip across the Dauphin Island bridge – you’ll see why Dauphin Island is the Sunset Capital of Alabama! 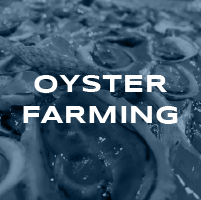 On this field trip, follow oysters From Farm to Table as we highlight Alabama’s oyster farming industry and natural oyster reefs. We will depart the Mobile Convention Center at 9:00 AM and take a one hour drive along the western shore of Mobile Bay to Dauphin Island, AL. We’ll first stop for a tour of the Auburn University Shellfish Laboratory, which leads the region in shellfish research and outreach, informing oyster restoration and production in Alabama. After touring the lab, we’ll take a short 15-minute drive to the western end of Dauphin Island to the Mobile Oyster Company farm and see first-hand how local farmers raise oysters for the half-shell market. At noon, we’ll continue our time with the Mobile Oyster Co. as they shuck and serve their delicious Isle Dauphine oysters. We’ll move to Pirate’s Bar and Grill to enjoy raw oysters and a lunch buffet on their private party deck (field trip price includes lunch, and non-seafood and vegetarian options are available). Between bites, attendees will want to snap some photos overlooking the Gulf of Mexico from the best scenic view on the island! At 1:45 PM, we’ll leave Pirate’s and travel back across the Dauphin Island bridge to Helen Wood Park to visit one of Mobile Bay’s largest oyster reef restoration sites. We’ll hear from conservation specialists at The Nature Conservancy about restoration initiatives, shoreline protection, and long term monitoring and management for Alabama’s natural resources. At 2:30 PM, we’ll head back to the Mobile Convention Center, arriving at 3:15 PM. Be sure to keep a lookout for local oysters on the menu as you eat at Mobile restaurants during CERF! 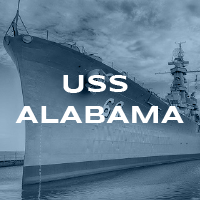 No trip to Mobile would be complete without a trip to the USS Alabama Battleship Memorial Park, where you can explore Mobile’s ties to military history By Land and By Sea. We’ll depart the Mobile Convention Center at 9:30 AM, for a 15-minute drive to the edge of Mobile Bay, where “The Might A” rests at the center of an extensive memorial park dedicated to Alabama’s veterans. Attendees will spend the morning exploring the ship, learning about its wartime history and the life of the 2,500 service men who lived onboard during World War II. The USS Alabama also offers wheelchair accommodations and foreign language tour sheets. At noon, attendees will enjoy a Southern style BBQ lunch onboard the ship (field trip price includes lunch and vegetarian options are available) and hear about the environmental stewardship efforts at the park including their bird sanctuary, which is a stop on the Alabama Coastal Birding Trail. After lunch, we’ll have additional time to explore the park. Take a walk through the Medal of Honor Aircraft Pavilion, home of the park’s extensive aircraft collection, historic vehicles and war artifacts. Board the USS Drum submarine, walk out to the fishing pier and nature boardwalk, and of course, stop by the gift shop for great souvenirs! At 2:15 PM, we will depart the park and return to the Mobile Convention Center, arriving at 2:30 PM. On this trip, we’ll travel just outside Mobile to explore the Mobile-Tensaw Delta, nicknamed America’s Amazon because it boasts some of the highest plant and animal biodiversity in the world. We’ll depart the Mobile Convention Center at 9:00 AM and arrive at 5 Rivers Delta Resource Center at 9:20 AM. Named for the five rivers that flow into Mobile Bay, the center brings the 250,000 acre delta inside for a closer look through live animals, taxidermy, local artwork and traveling exhibits. 5 Rivers staff will be on hand to answer questions and introduce some of the facilities animal ambassadors. At 10:30 AM, we’ll take a quick 10-minute walk to the Bartram Landing to board the Delta Safari! On this boat tour, you’ll have a chance to see wildlife including alligators, bald eagles, turtles, pelicans, nutria, and more. 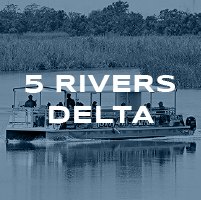 You’ll also learn about the history, geology, and ecology of the Delta, as well as Alabama’s “Forever Wild” program and its mission to protect these critical habitats through the Alabama State Lands division.